Inside our flexible ducting catalog, you will find helpful information about our flex hose and ducting products, including available ID sizes, temperature thresholds, material composition, applications, and pricing! Browse our extensive line of flex hose products for applications ranging from air ventilation to waste and material handling, and find the product that best suits the needs of your business. If you have already requested a flexible ducting sample from Ducting.com, you will receive a free catalogue with your shipment! 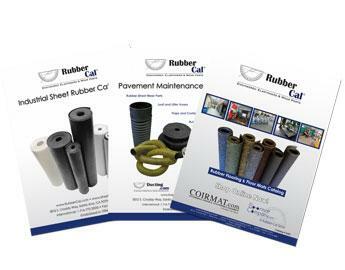 Please note: Ducting.com, a Rubber-Cal service, will only ship to the continental United States; as a result, our catalogues are only available to U.S. residents at this time. All catalog requests are fulfilled by the U.S. Postal Service and may take between 2 to 7 business days to arrive, dependent upon your location.